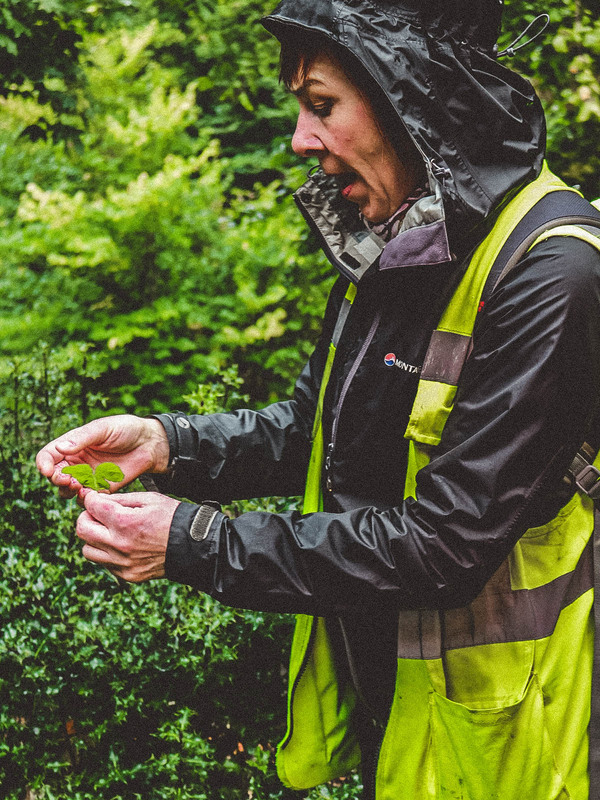 It was another rainy and blustery day in Edinburgh, and Anna Canning was dressed for the elements along with her foraging group. Who is Anna Canning, and why had she led us out into the Hermitage of Braid on this very wet day, you may ask? Anna Canning is a qualified medical herbalist, translator, researcher and educator who runs Floramedica. 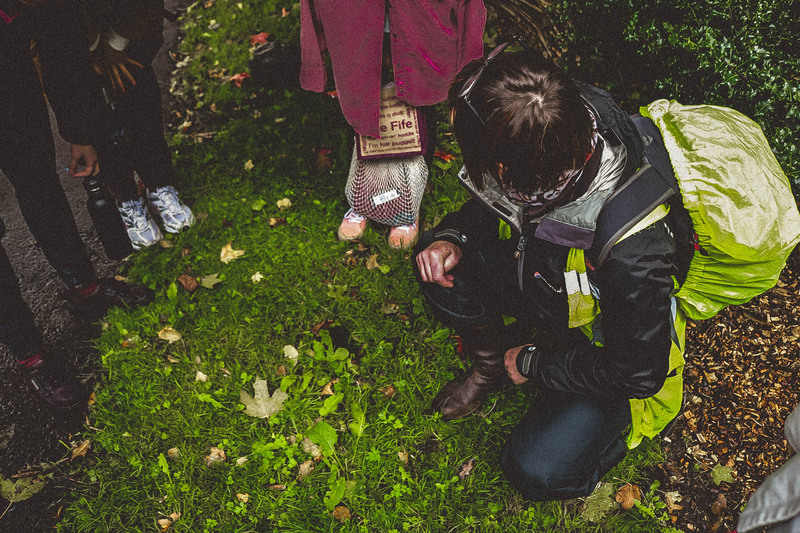 Based in Edinburgh, Anna promotes “sustainable, plant-based self-care in the community”, which she does by running workshops for both adults and children. Sunday’s workshop began with Anna showing us some of what was directly beneath our feet. This included Dandelion, and Common Dock. Anna informed us that both the root and the leaf of the Dandelion could be used, where the leaf is high in Vitamin C and minerals, and the root could be chopped up and braised with oil and soy sauce for a delicious snack. 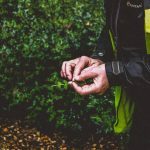 Dandelions are also useful as a diuretic for mild high blood pressure, and that some people even roast the root and use it as a substitute for coffee! We also took a closer look at the Common Dock leaves, which are very useful before they flower in order to treat nettle stings, due to the aloe like contents in the stem. Anna was amazing as we trekked through the Hermitage of Braid, even though it was a tad bit muddy. 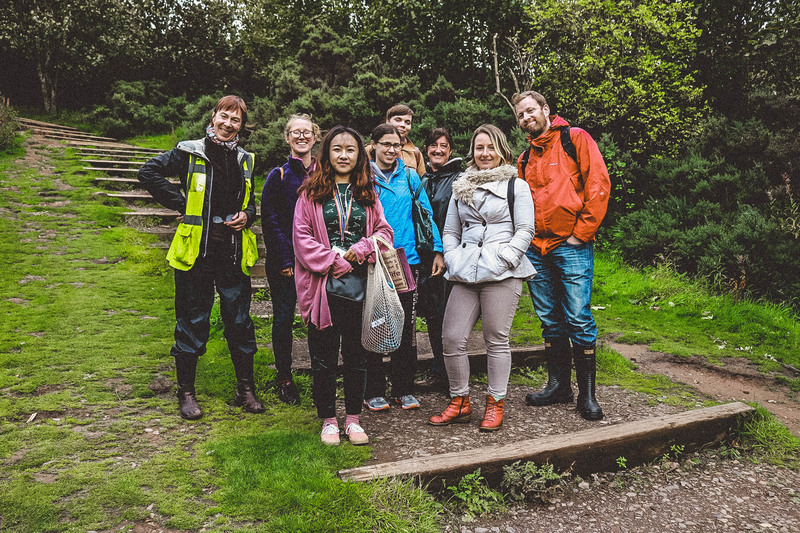 We came across some more interesting plants such as Ribwort, which the leaves can be harvested from and tossed in with some other wild greens as a salad, as well as Hawthorn, that provided us with some delicious berries to taste. Anna also provided us with a great Scottish saying, “Ne’er cast a cloot until May is oot”, which means that you shouldn’t put your warm clothes away until Hawthorn (also known as the May tree) is in flower, as we all know how temperamental Scottish weather tends to be. Eventually we moved on from the cover of the trees as the rain had stopped, and stepped out into the most beautiful sun-covered clearing. Here, we stopped to check out some Sorrel, that when chewed on, had the most amazing citrus flavour. The field had loads of wild Sorrel, so we all stopped to harvest some to use at home. Anna let us know that it was similar to spinach, and could be added as a lemony tang to soups, sauces, and salads (after washing of course). 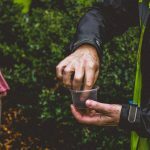 We moved onto the final leg of our wee journey, where we were able to harvest and taste a few Elderberries. 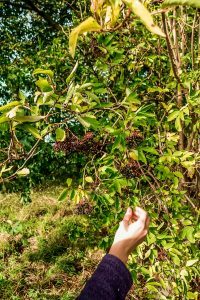 The berries are are at their best when they are fully black, ripening around September-November, and can be used to make cordial, tea, and ice cream. Elder is said to be good for cold and flu symptoms, as it is high in Vitamin C. We also discussed some plants that are not for use at home, such as Ivy, and Yew, as both of these can prove to be toxic if used improperly. Like many wild herbs, Yew is actually used to make some chemotherapy drugs for cancer treatment. On the final leg of our journey, we retired to a quiet bench in order to enjoy some snacks that Anna had brought along for us. Anna gave us some sweet Hawthorn treats from the Chinese market, as well as making us a lovely, spicy Elderberry dip, which included chilli pepper, garlic, and a mix of spices. We ate this with delicious pakora as we relaxed and chatted amongst ourselves. 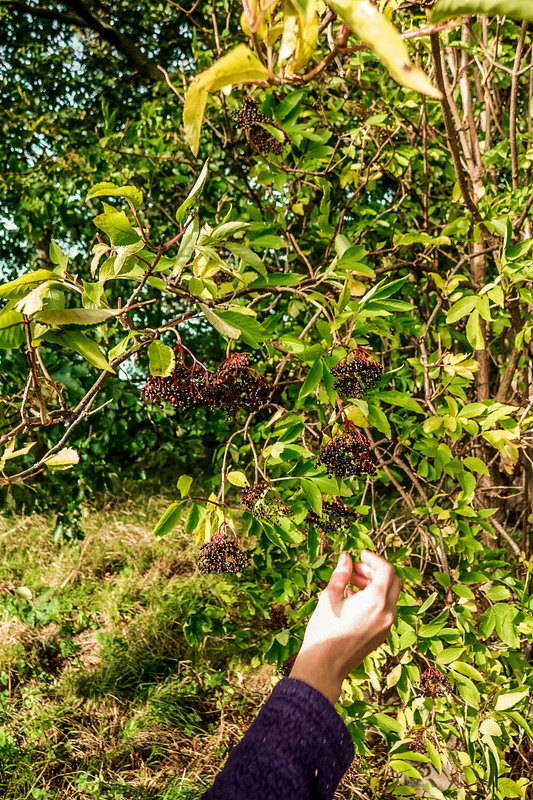 Foraging was a great experience, and Anna was extremely knowledgeable. Anyone looking to try it as a hobby should definitely seek advice, as one error with the wrong plant could prove to be toxic and very dangerous. A good field guide with clear illustrations or photographs is an amazing tool to take with you on your foraging expeditions. Anna suggests apps as well, such as Pl@ntNet & Woodland Trust. 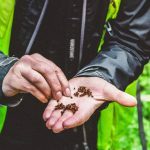 There is also conduct which should be followed when foraging in Scotland, and it is important to follow the Outdoor Access Code (SOAC), which lays out our foraging rights as humans. In a lot of places such as public access sites, taking the parts of the plants above ground is legal, but uprooting them could prove as an issue. 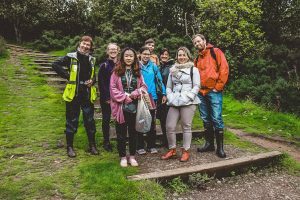 Edinburgh Larder and Edinburgh Food Social run a range of courses throughout the year including at least 4 foraging courses. Keep an eye out on the facebook pages (linked above) for more event information. An amazing group for an amazing day! Thank you to everyone who came out. If you want to learn more about Anna, Floramedica, recipes and more, check out her website. Interested in learning more about foraging? Join our next course on October 21st with Edinburgh Food Social and Anna Canning on Eventbrite.